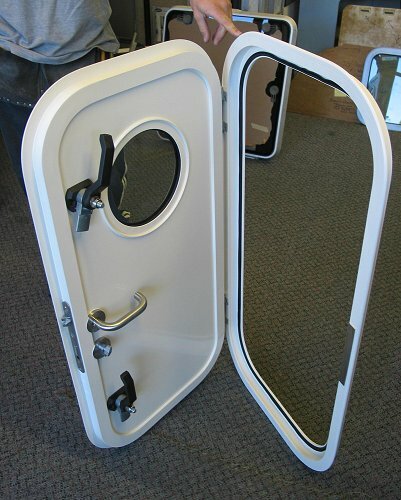 These doors are used in passenger carrying tourist type boats, car ferries, tugs and up market pleasure vessels where solid and substancial openings are a must. 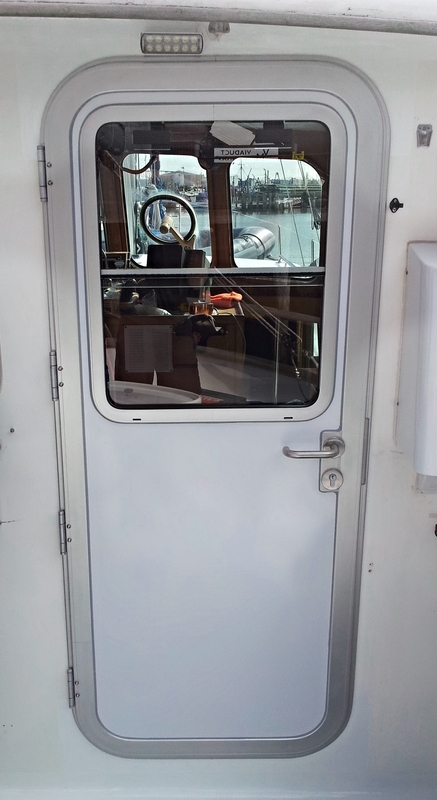 Our access door is used extensively in all types of boats, but the commercial door is chosen when extra strength and weather resistance are of concern. The commercial door is a medium-heavy duty door that is made to order and can have mitred ot radiused corners, radius options are 150mm cut out in the vessel. The problem with fitting a nice new SeaMac door is that sooner or later you just gotta do the rest of them!